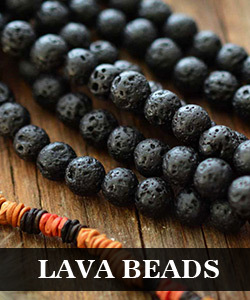 Summary: Hey, do you like Ceramic beads bracelet? 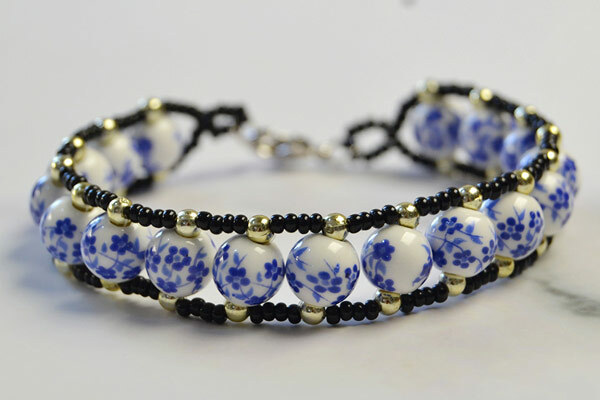 How about this black seed beads and Ceramic beads bracelet? 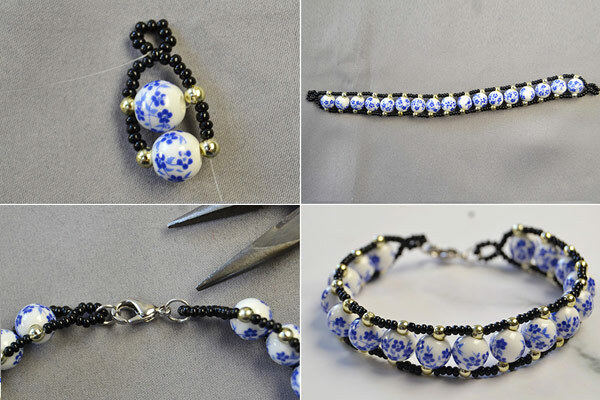 Classical also chic, The following tutorial will show you how to make this bracelet. No complicated beading skills, everyone can make this seed beaded bracelet. All you need is to prepare these jewelry craft supplies from Beebeecraft.com, The main technique used in this homemade bead bracelet is beading. 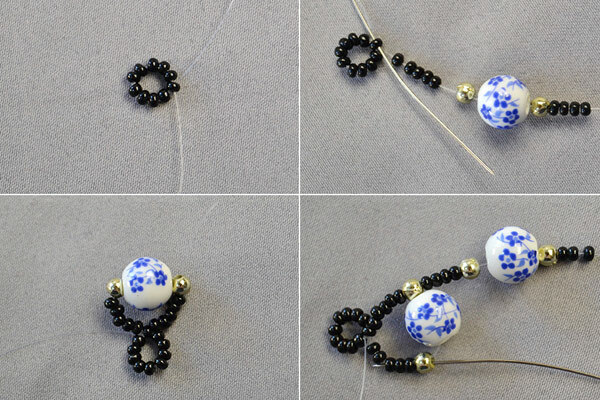 4th, continue to add four 2mm black seed beads, a 3mm light golden plated beads respectively along the 8mm ceramic bead onto the wire, and repeat the above steps. 3rd, connect the yellow flower bracelet. 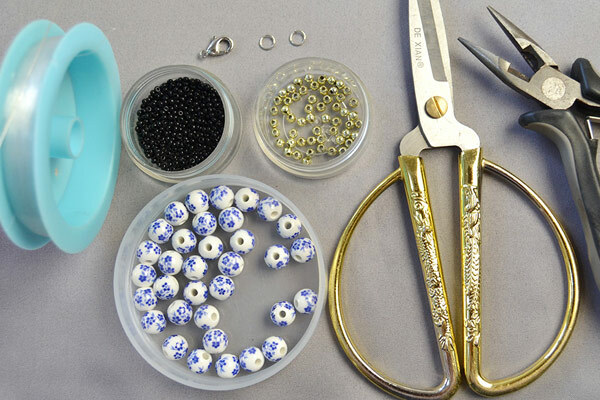 Ok, these are the details on how to make a beaded bracelet full of China flavor. Easy but so Beautiful bracelet. Did you get the skills of this bracelet making? Do not worry, you can make it if you follow the steps. Besides, After you complete this bracelet, you can adapt the beading techniques to make other types of jewelry.